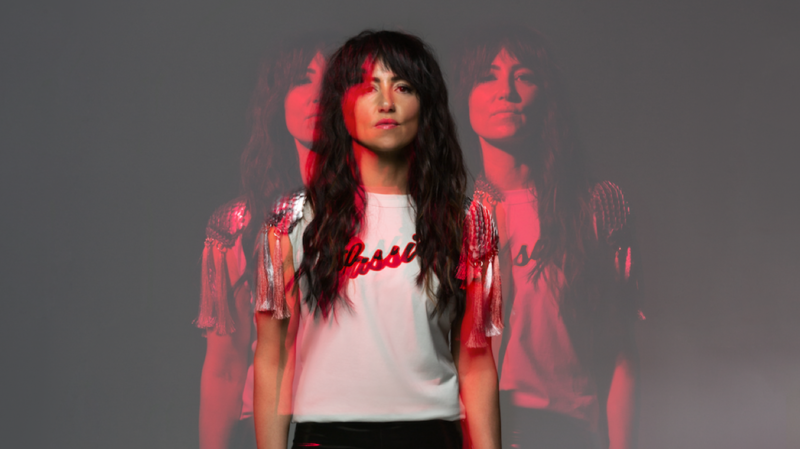 Listen To KT Tunstall's Anthemic 'The River' From Her Forthcoming Album, 'WAX' : World Cafe Inspirational and emotionally charged, this song puts KT Tunstall's immediately recognizable voice at center stage. 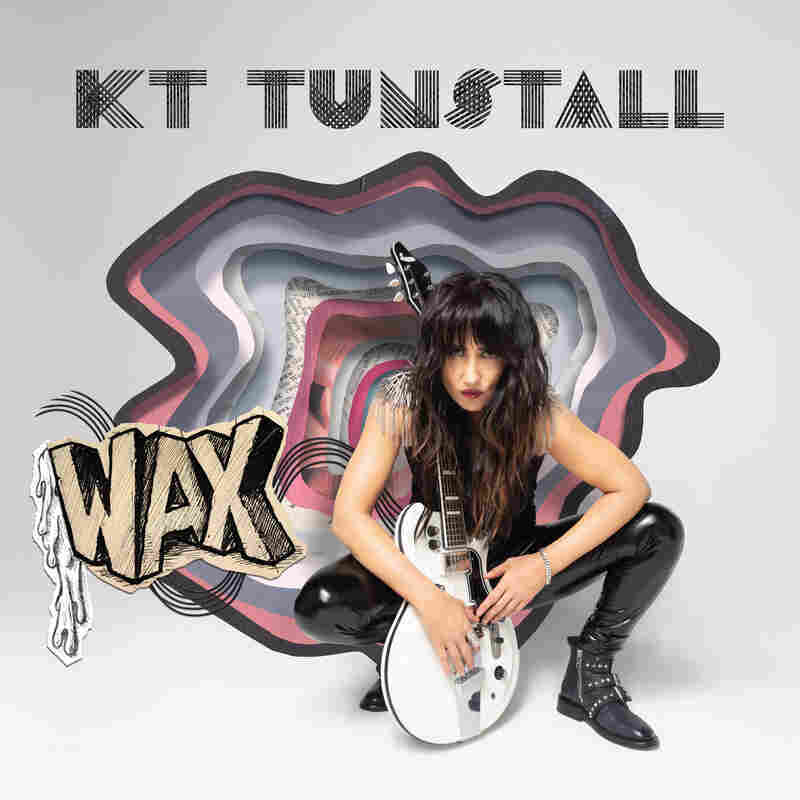 KT Tunstall album WAX comes out Oct. 5 via Rostrum Records. In 2004, when singer-songwriter and guitarist KT Tunstall released her debut album Eye to the Telescope, little did she know that songs like "Black Horse and the Cherry Tree," and "Suddenly I See," would hold such sway over our pop psyches. But they have. They've been indelibly marked on us, and with those songs and others from KT's previous five releases, she's proven to be consistently adept at writing smart pop songs that deal with matters of the heart and soul, spirit and the mind. KT's upcoming album, WAX, is the second in a trilogy of records she started with 2016's KIN that explores themes of spirit, body and mind. This album focuses on the body, and as the musician explains in a release about the album, "I knew before I started writing that I wanted it to be an electric guitar record. It had to be visceral, about the physical, and the obstacles of that. It's a record about human-ness, which we so often just write off as 'flaws.' WAX evokes colonies of bees, candlelight, the material that the first long-playing records were made of. But more than that, wax is produced inside your own head". WAX is out on Oct. 5 via Rostrum Records. KT's sixth studio album releases on Oct. 5. It was entirely self/co-written and was produced by Nick McCarthy, founding member of Franz Ferdinand, with co-production from duo MyRiot (London Grammar, Birdy). WAX features co-writing contributions from her frequent creative collaborator Martin Terefe and Kings Of Leon producer Angelo Petraglia. Additional players on the album include drummer Denny Weston Jr. and guitarist Charlotte Hatherley. KT plays guitar, synthesizers and sings throughout. A pivotal point in KT's continued creative evolution came in 2014 when she relocated to Venice Beach, Calif. from London. "Relocating to Venice Beach was a crucial part of reinvigorating my passion for making records again," the artist writes in a statement to World Cafe. "I lost the will back there for a bit. Being by the ocean in this weird melting pot of old, f*****-up Bohemia and for the most part pretty open-minded modernity, surrounded by the birth places of some of my favorite music of all time; Fleetwood Mac, Tom Petty, Joni Mitchell. The widescreen effect of all that was very creatively nourishing and healing, basically. That led to my last record KIN, which is Part One in a trilogy, which has naturally led to a Part Two, which is WAX. I'm enjoying currently having no idea where part Three will take place." "I wrote KIN entirely alone," she continues, "And getting that out of my system meant I could dive into collaborations again for this album which has been really rewarding, particularly finding my new creative partnership with Nick McCarthy." Today, World Cafe premieres the album's first single "The River," an inspirational, anthemic, emotionally charged song that puts KT's immediately recognizable voice at center stage. At once, it grabs you with a synth hook for a few quick seconds before KT's powerful voice takes over. The song builds with rocking, rhythmic guitar textures and an infectious chorus that you always expect from her. "The River" powerfully delivers on the promise of the album's concept. The guitars rock and the subject matter touches on salvation, sin and being saved. "It's about wanting to escape the madness in the world, escaping bad relationships, and wanting to be washed clean," KT says of the song. "Emancipation through nature." Over the last fourteen years since her debut album, KT has created a lasting, impressive body of work. WAX will add to that. When asked about looking back fourteen years at all the change in the music business and her own personal story, Tunstall says, "I think, honestly, the thing that excites me most is finally becoming deeply engaged in my own business. That might sound a bit dull, but becoming completely immersed in every aspect of my business makes me realize even more that musicians and artists need to be the creative vanguard in their business as well as their art. And I am loving the challenge of shaping what that looks like in what feels a bit like the Wild West while music transitions into non-physical forms. But thankfully, vinyl will never die! Long live the A + B Side!" WAX is out on Oct. 5 via Rostrum Records. KT will begin a U.S. tour in October in Portland, Ore. following the album's release.